GOOD NIGHT FRIENDS - FreeEcards, Pics & Quotes. Home » Everyday Greetings » Good Night » GOOD NIGHT FRIENDS – FreeEcards, Pics & Quotes. 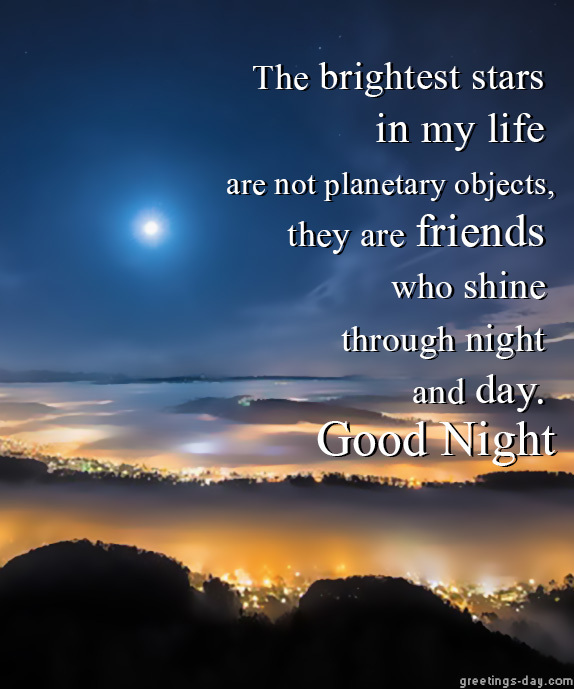 GOOD NIGHT FRIENDS – FreeEcards, Pics & Quotes. The brightest stars in my life are not planetary objects, they are friends who shine through night and day.